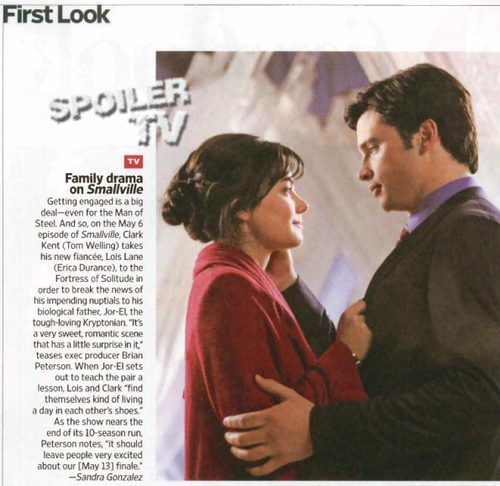 Smallville - EW - First Look Magazine Scan. . Wallpaper and background images in the Clois club tagged: smallville season 10 clois clark kent lois lane. This Clois photo might contain اخبار, کاغذ, میگزین, رومال, بڑی, لھیر, پورٹریٹ, آرچر, closeup, تصویر, and ہیڈشوٹ. 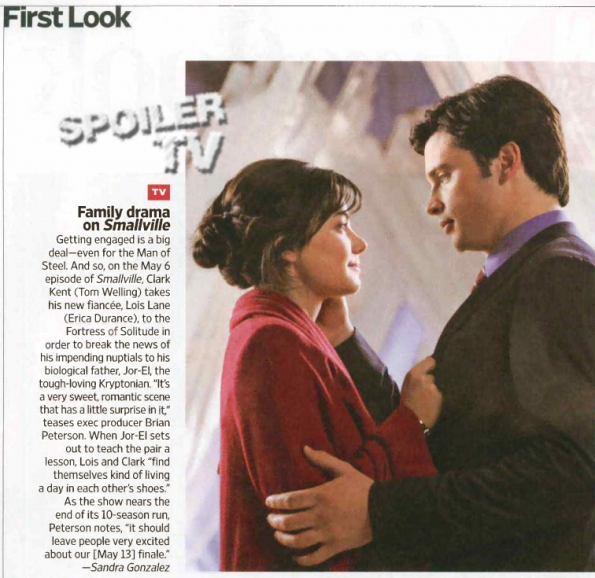 tom and erica look so amazing in this photo, the perfect lois and clark becoming a little teary eyed because its almost over though.